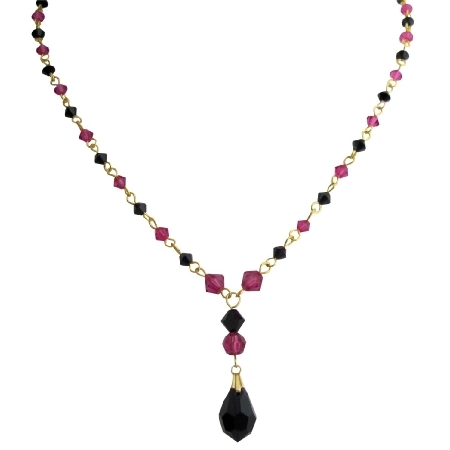 Gorgeous & Make your own bold statements necklace with combo of Swarovski Fuchsia & Jet crystals with cute Teardrop dangling at bottom adorned in bautiful gold tone necklace 22k gold plated. Let us inspire your inner beauty with our fine jewelry crafted from Swarovski crystals. We do carry matching earrings & bracelet.